Why Not Present Yourself as a Westerner? Devotee: The second part of the question was that one other man who comes from the East, Krishnamurti, he stresses that when you are speaking in the Western world, you should speak and present yourself as a Westerner, not as an Indian or not as you would speak in India. Instead of sitting on the raised dais, vyāsāsana, and dressing in robes of a monk, Krishnamurti would say, "Dress in Western clothes and sit on a chair." The question was, "What is our opinion of this?" 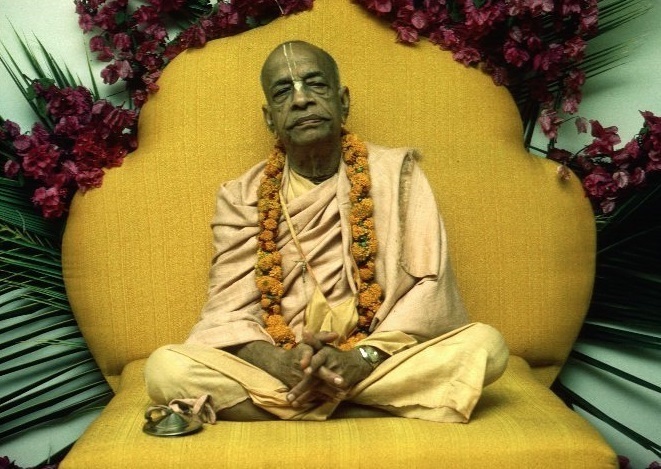 Prabhupāda: Actually, a God conscious person is neither Westerner nor Easterner. So anywhere he goes, the devotees, as they receive him, they accept. These devotees, they have arranged the raised seat, so we have accepted this raised seat. If they wanted to sit down on the floor, I would have gladly accepted. I have no objection, this or that. But as the devotees receive and they give honor, that is good for them, because actually we should honor the Supreme Lord, God, and His representative. Nowadays it is different. Students and people are learning not to honor. But that is not actually the system. According to Vedic system, the representative of God must be honored as God. Yasya prasādād bhagavat-prasādaḥ. Just like in India we had British rule. The Governor General, he was Viceroy. So he was given honor, as much honor we used to give to the king. So that is the etiquette. That is the system. It is not that the honor given to the Viceroy exactly like to the king, he becomes a king. No. He is servant of king. But it is the duty of the citizen to honor the representative of the king as king. That is etiquette. That is our Vedic system.